While the courts will give a child's wishes more consideration as she grows older, someone younger than 18 can't refuse to visit her noncustodial parent. Unless visitation would risk physical or mental harm to the child, the courts won't allow her to refuse visitation without consequences for the custodial parent. The noncustodial parent can take you to court if you don't follow the visitation schedule, even if it is the child who refuses to go. Talk with your child to discover why she doesn't want to go with the other parent. Answer her concerns and encourage her to cooperate. Adjust the visitation schedule if doing so will solve her issue. For example, if a visitation day is preventing her from doing a sports activity, you and the other parent can revise the schedule to avoid the conflict. Always return to court to formally modify a visitation schedule if your schedule is set in writing or you expect trouble with the other parent. 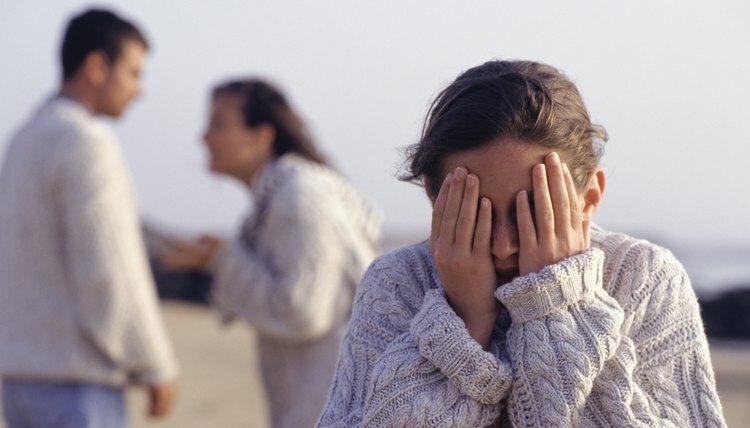 Can Family Court Force a Mother to Give Up Her Parental Rights & Also Her Visitation Rights? When a parent struggles with drug addiction, his parental rights may be affected. In some cases, child protection agencies may remove a child from a parent’s care if that parent abuses drugs. Likewise, during a divorce, a court may deny a parent custody if he has untreated drug abuse or addiction issues or terminate his parental rights entirely if he does not address his drug abuse problems. Therefore, treating the underlying illness is often key to protecting custody and parental rights. The end of a marriage is difficult, but the idea of losing custody of your children is terrifying. A judge's only concern in deciding custody is your child's best interest. Parent behavior during a custody battle can influence the judge as he decides which residential placement meets that criteria. Knowing a judge's criteria in terms of your behavior can better help you demonstrate that your child's best interest lies with you. No parent possesses a legal right to deny the other parent visitation rights when they are informally separated, yet still married. Married parents share equal parental rights over their child during a separation, unless a family court issues a child custody order to the contrary. What Are the Laws in Arizona Concerning Divorce & Taking Your Kids Out of State?